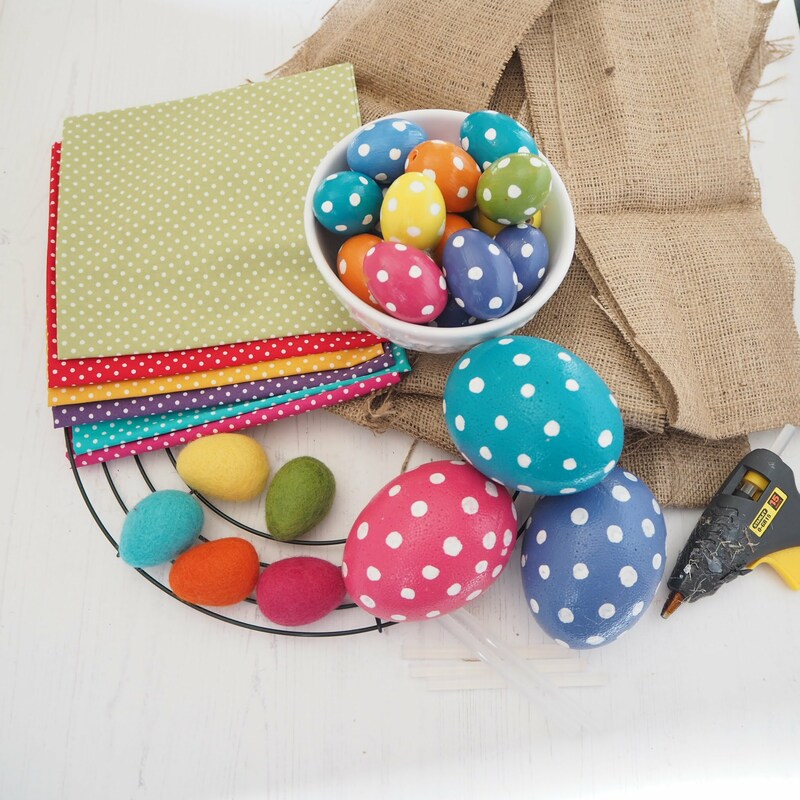 You know you have a problem with procrastinating when you realise the fabric you bought and the wooden eggs you painted to make an Easter wreath have been sitting there for a couple of years and you still haven’t got round to making it! That was my reality this morning. I was looking on Instagram and saw a lovely floral wreath made by @justlaurajayne so I decided today was the day the wreath would be made. 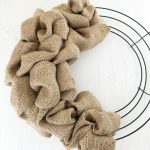 I thought maybe some of you would be interested to see how I made it so I’ve put together a tutorial to show you what I did. 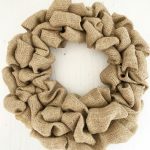 For a 30cm wreath frame you will need about 18-20m of burlap ribbon, depending on how full you want your finished wreath to look. 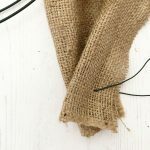 I didn’t have any burlap ribbon but I had quite a bit of burlap fabric so I cut it into 12 strips which were about 1.5m long and 6 inches wide. 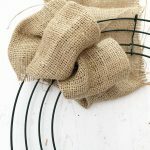 Start by folding your burlap in quarters and threading a small length of garden wire through it and twisting to secure it. 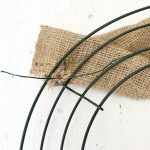 Then use the wire to attach the burlap to one of the spokes of the frame. 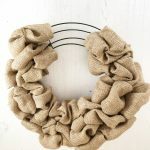 Begin pulling loops of the burlap up through the outer ring on the wreath frame. Next pull a loop up through the middle ring and then through inner ring. 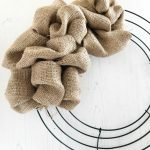 Once you have done these three loops, twist the burlap firmly and work your way back up the wreath frame in the opposite direction, pulling loops of burlap through each segment in the wire frame. Continue doing this until you have all the frame filled. 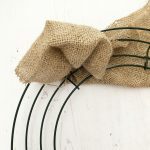 Secure the end of the burlap to the wire frame in the same way as you did at the start, by threading garden wire through it and twisting round the frame. 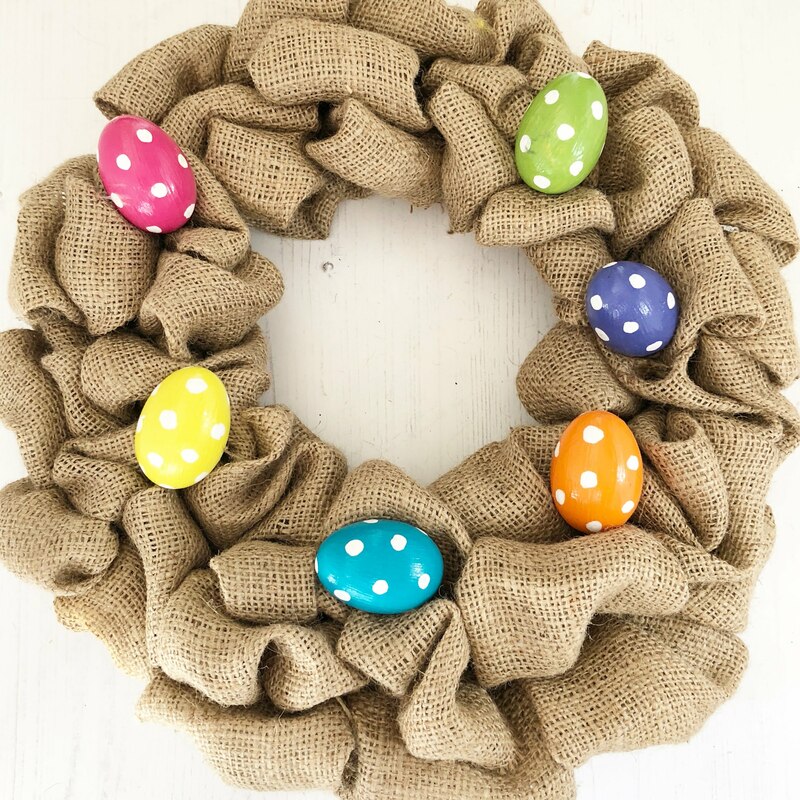 Lay out your Easter decorations on top of the wreath until you are happy with how they look and then glue in place. 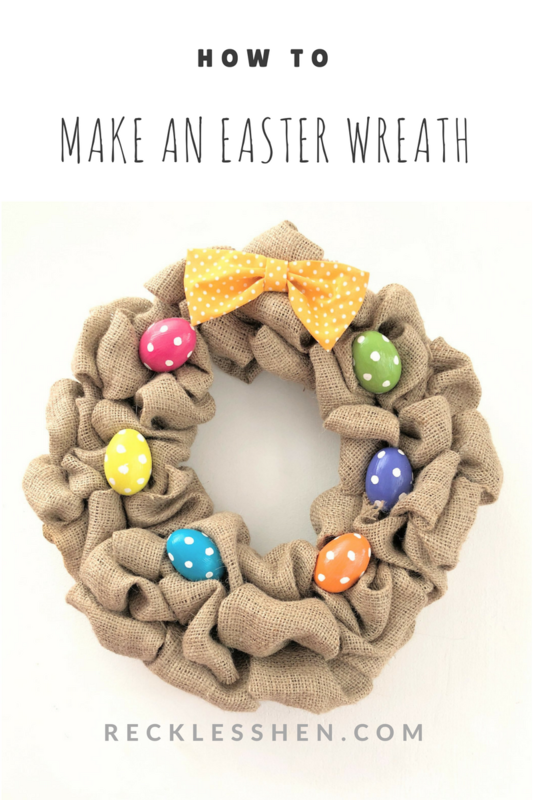 Make a bow and glue it to the wreath, add a loop of garden wire on the back as a hanger and Hey Presto, it’s finished! 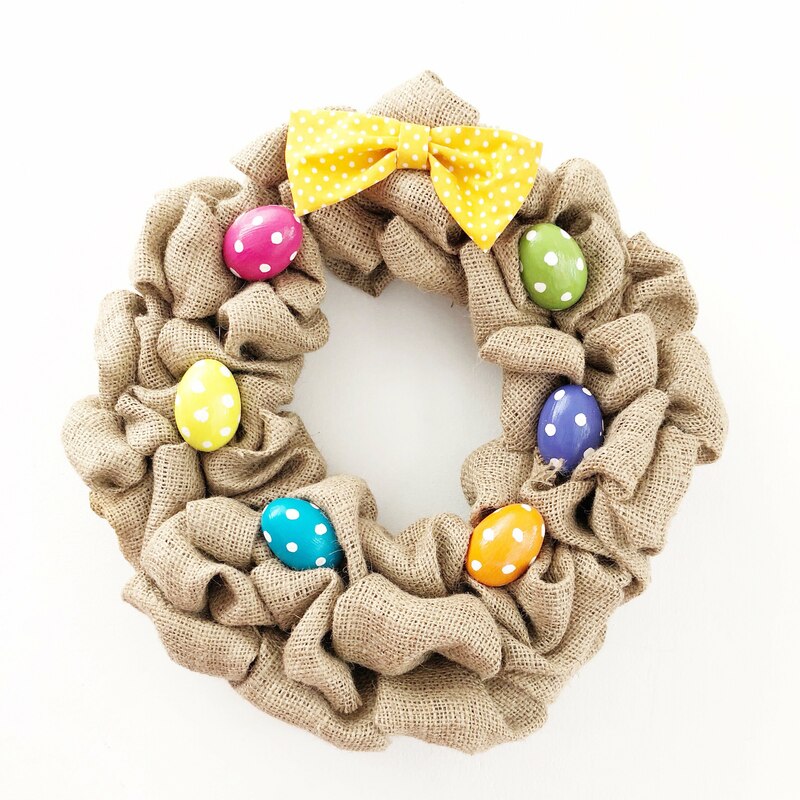 My wreath is finally hanging proudly on the door and I am off to put the rest of my Easter decorations up.